For more information, please visit our Ferries from Albania to Italy page. The Durres Trieste ferry route connects Albania with Italy. 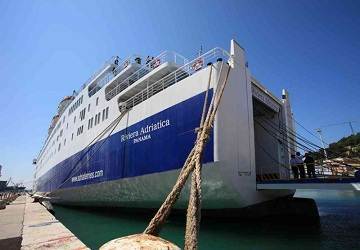 Currently there is just the 1 ferry company operating this ferry service, Adria Ferries. The crossing operates up to 1 times each week with sailing durations from around 37 hours. Durres Trieste sailing durations and frequency may vary from season to season so we’d advise doing a live check to get the most up to date information. Prices shown represent the average one way price paid by our customers. The most common booking on the Durres Trieste route is a car and 2 passengers. Located on the Albanian coast, Durres is a city that is around 33 km to the west of the Albanian capital, Tirana. It is Albania's second largest city, its main port and is one of the most ancient and economically significant in the country. Lying on the coast at one of the narrowest points in the Adriatic Sea, the Italian port of Bari is around 300 km away and Brindisi is 200 km away. Popular attractions in the city include its main library, its cultural centre with the Aleksander Moisiu Theatre, the Estrada Theatre, the puppet theatre and the philharmonic orchestra. For visitors who enjoy a bit of history, there are a number of museums in the city including the Durres Archaeological Museum, the Royal Villa of Durres and the Museum of History. The city is also home to the Durres Ancient City Wall, Durres Cathedral and the largest amphitheatre in the Balkans which is located close to the harbour. This first-century construction is currently under consideration for being declared a UNESCO World Heritage site. 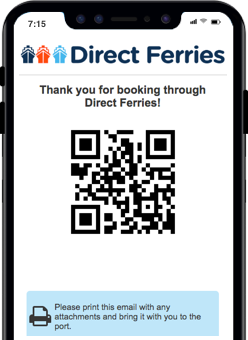 Ferry destinations available from the port include Bari, Ancona, Trieste and Brindisi. The Italian city of Trieste is located at the edge of north east Italy and is situated close to the border with Slovenia and lies on the Adriatic Sea coast. The city is one of Italy's most unique with is former grandeur still in evidence today with is grand buildings complete with neoclassical facades. Despite the grandeur on display, the city is frequently overlooked by visitors who choose instead to visit other Italian cities that have a more established tourist infrastructure such as Venice, which is around 160 km to the west of Trieste. The city is a great place to be based in order to explore this part of Italy's coast but the city itself has a number of tourist attractions, museums, ancient Roman remains and some lovely cafes and restaurants in which to relax. Many of the city's most popular attractions are located in the medieval quarter of the Old Town and one attraction that is hard to miss is the Basilica di San Silvestro as it sits on top of the Colle Capitolino hill. Also in the city is the impressive 14th century Trieste Cathedral which is found overlooking the Piazza della Cattedrale.